An excellent overview of resources and what steps to do first. This is a great place to start your family research! 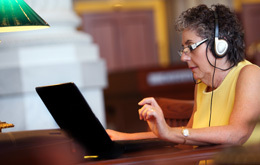 Don't miss our upcoming webinars, workshops, classes. Get expert advice and know-how to create a family tree, chronicle heritage, or come simply to enjoy the thrill of hunting for clues about an ancestor's past. Note: The majority of our Family History resources are not yet online. If you can't find what you are looking for, please let us know or try searching our catalogs to the right. Don't know where to start? Use these resources to find the core information about your ancestors that will create the foundation of your genealogical research. They often contain clues that will point you to other resources to investigate. Learn tips for using census records for family history research. Learn tips for using marriage records for family history research. Learn how to use our newspapers, obituaries and biographical articles for genealogy research. Once you have gathered the core information about your ancestors, the next step is to add context by researching what others have written about various counties and families. Many of these sources are available to read both online and in our Library. Learn tips for using local and county histories for geneaology research. 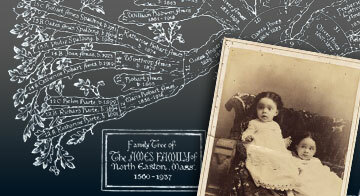 Learn tips for using our collections of over 40,000 published family histories for geneaology research. At this stage, you are ready to fill out the story of your ancestors by researching these other family history resources. Learn tips for using cemetery records for family history research. Learn tips for using passenger lists for family history research. Use the UW Library Catalog to find materials in the Society's Library or Archives. Search for published works located in the Library at the Society. Search for your ancestors in these Society collections. Search over 80,000 images in our collections to find photographs, drawings, and posters of prominent citizens, cities, and more. Search by personal name to find more than 35,000 Wisconsin soldiers, civilians and prominent figures. Ask the experts! Contact our helpful Library and Archives staff by phone at 608-264-6535 or by email below to find answers to your questions about family history research.